National Voter Registration Day on Sept. 25, kicked off voter registration season. It's a holiday that was created to highlight the importance of voting and to encourage eligible voters to get to the polls. Here's are some things you need to know to get registered. TEMPLE, Texas — National Voter Registration Day on Sept. 25, kicked off voter registration season. It's a holiday that was created to highlight the importance of voting and to encourage eligible voters to get to the polls. Here's are some things you need to know to get registered. Think you’re registered, but not sure? If you think you registered in the past, but you’re not sure, here’s where to find out. Our next Election Day is Nov. 6. Eligible adults must be registered by Oct. 9 to participate. Early voting begins Oct. 22. Polls are open on Election Day from 7 a.m. to 7 p.m. in Bell and McLennan Counties. There are 48 polling locations in Bell County and 38 in McLennan County. Voters in Bell County must vote at their designated polling place, which should be printed on the voter registration card. McClennan County has vote centers and voters can vote at any polling location. 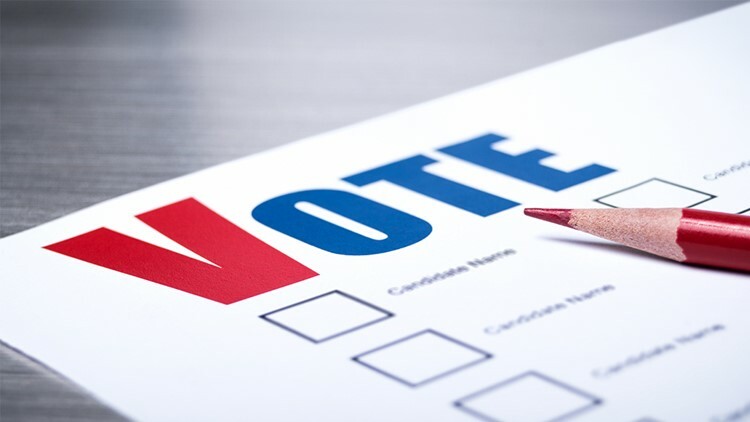 To find polling locations, view a personal sample ballot or review the list of acceptable forms of identification to vote at the poll in Bell County, visit www.BellCountyTX.com or www.co.mclennan.tx.us if you are registered in McLennan County. What if I don’t have one of the accepted forms of ID?